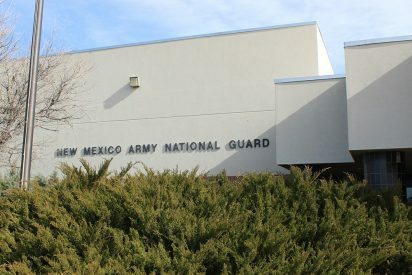 Mesalands Community College will have a divestment ceremony with the New Mexico State Armory Board on Friday, February 8, 2019 at 1 pm, as the institution officially takes ownership of the National Guard Armory in Tucumcari. The Armory is located at 1200 South 11th Street. Dr. John Groesbeck, President of Mesalands Community College, will be signing the real estate sale agreement. The College is purchasing the 21,540 square-foot building and the associated real estate property of 7.86 acres, for one dollar. Mesalands Community College plans to use the Armory as a future student center/athletics complex.